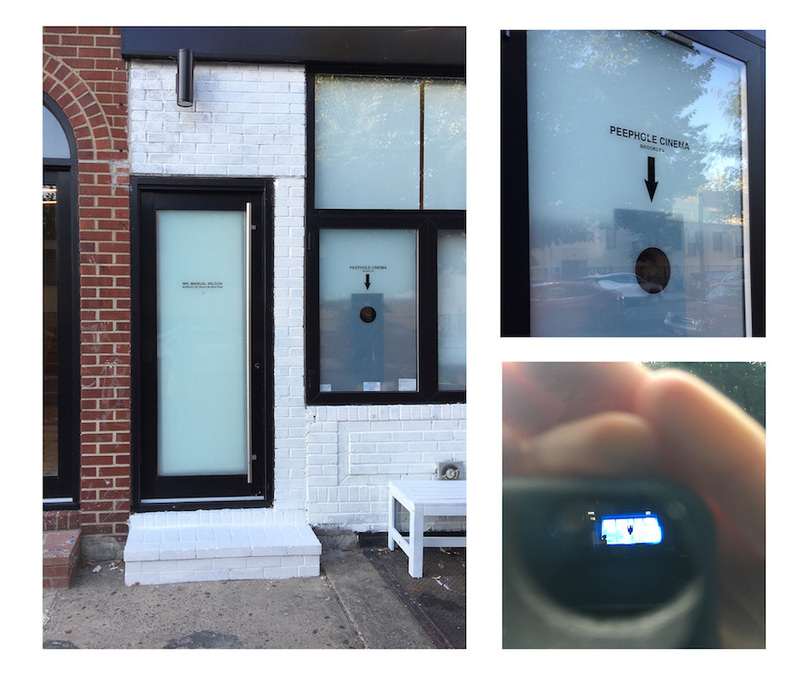 Hidden on a residential street in Bushwick is a white building with black lettering that reads “Peephole Cinema,” with an arrow pointing south towards a small viewfinder. When you look inside, a visually stimulating world is exposed. Short animated films play on loop; they have no clear narrative or sound, and are full of whimsy and imagination. The experience is oddly intimate. For a few seconds or minutes you leave the real world and enter a rabbit hole of new cinematic ventures. Started in San Francisco in 2013 by multimedia artist and animator Laurie O’Brien, Peephole Cinema allows pedestrians to discover new artists in film and animation. Once you’ve happened upon the installation on a daily stroll, admission is free. The success of the mini microcinema allowed O’Brien to open up a similar setup at UnionDocs in Williamsburg in 2015. In the summer of 2018, Peephole Cinema found a new home at 97 Wilson Avenue; the location allowed for 24-hour access– a requirement for the project. Each of the cinema’s three locations– in San Francisco, Los Angeles and Brooklyn– has a different mission. The works shown at the West Coast locations are more experimental. Fittingly, in Brooklyn, the short films are very short, often running less than 30 seconds as a nod to short attention spans. In the constant chaos of New York City, grabbing someone’s attention is all the harder. But that’s not the case with the new selection of films, which will be screened April 12 till June 28. GIF Flicks is a series of GIF-length experimental films by Thu Tran, Rebekka Dunlap, Jaimie Warren and Abbey Luck. The series is a partnership with GIPHY Arts, an organization that advocates for GIFs as an art form. 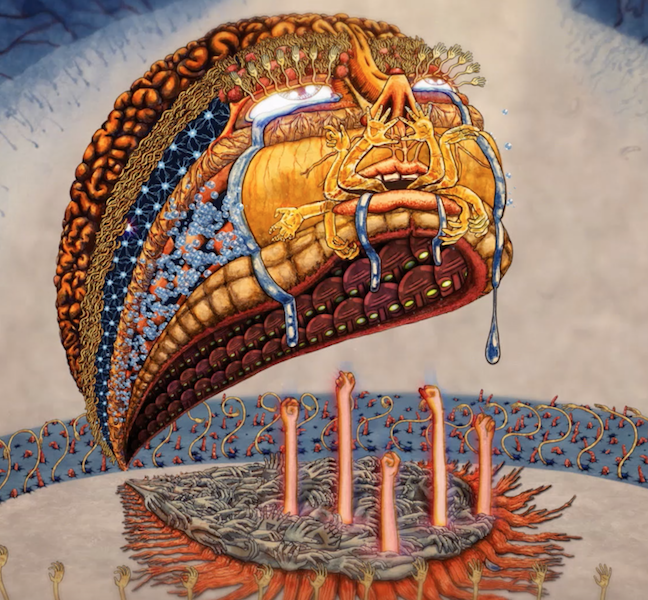 The four works have been adapted into a one-minute film, entitled “Vivid Frames for Winding Brains,” exploring themes of cannibalism and the human body, with a guest appearance by some very “outspoken feline characters.” The viewing experience is supposed to be transportative and surrealist– entering another dimension of kaleidoscopic mania. While the curators for each new film project essentially have full creative license, O’Brien does have her caveats. The films must not promote or advertise anything, they have to be silent, and they can’t have narrative, so the films can loop. While Peephole Cinema has been a success, O’Brien is aware that bringing another gallery space into Bushwick adds to the area’s gentrification. Until then, viewers who happen upon Peephole Cinema can walk away with the delight of having discovered a hidden neighborhood gem.